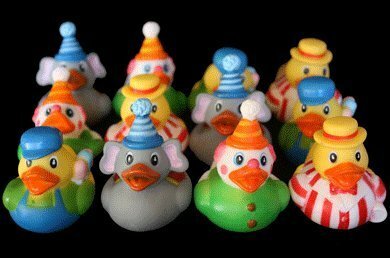 Set of 12 Carnival Ducks: assortment of clowns, cotton candy vendors, ringmasters, and elephants. They do not squeak and they DO NOT float upright. Each measures approx 2 x 2.